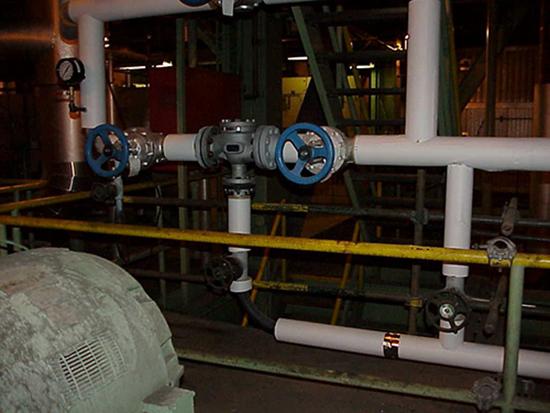 Automatic Recirculation Valves protect centrifugal pumps from damages that may occur during low-flow operations. Minimum flow protection is accomplished with an automatic, modulating bypass that assures smooth pump operation between the minimum and maximum flow point on the pump curve.No external power source is required. 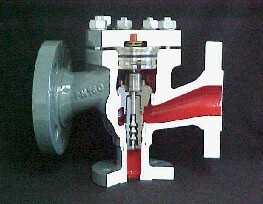 These valves are self-contained and simplify the system design and installation. Sizes range from 1 inch to 24 inches, including ANSI Class 150 through 2500 lb. Valve internals are stainless steel with externals in carbon steel, stainless steel, or special machinable alloys. Automatic Recirculation Valves are normally installed on or near the pump discharge. Bypass (or recirculation) flow is returned to a de-aerator or, in some cases, directly to pump suction.